Ok, so I know some of you guys are wondering what ever happened to the SOLO video project, our editors are currently away in Venezuela, their jobs take them abroad. So it’s coming! With that said, we shot a video for a new song called “Big Stupid Liar” off of independent artist, Neysa’s upcoming album called “Out The Box”‘ which will be a diverse musical journey! With the help Mark SQuared, who you should remember from a previous post and some unexpected talent replacements, we were able to have a great shoot and had a lot of fun and pull off Neysa’s vision! Another spectacular thing was I got to work with my son Jaysen Jae B Stewart of WEARETHEPPL, who was D.o.P. or DP of this project. He, with the aid of the 1st and 2nd AD Dave Evans and DreQuan Medallion, respectively, was able to keep things together and get the shots needed! There was a point where we actually shot a scene both hand held together at the same time! 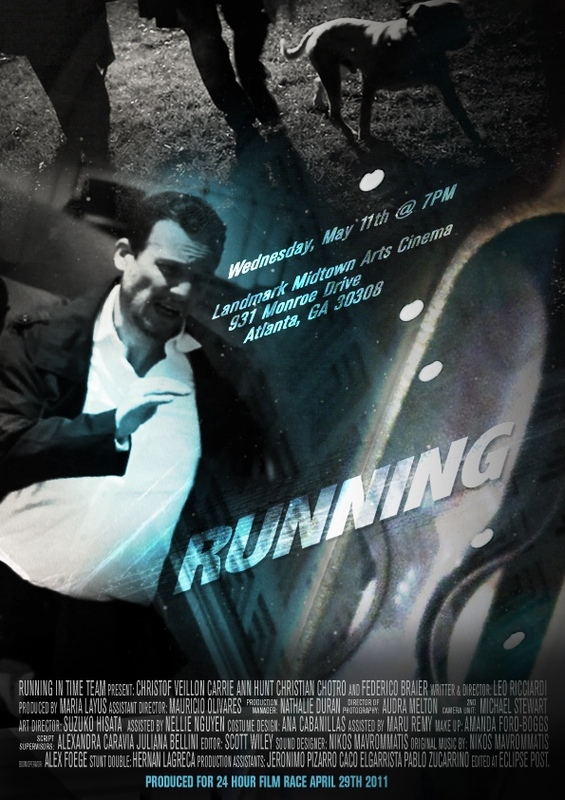 Just wanted to share that our team Running In Time won Best Film in the 24hr Film Race and 8 other categories – for at Atlanta, here is the official word – http://www.filmracing.com/24/Competitions.htm – Here is the film, check it out – http://vimeo.com/23098483 shot with both a Canon T2i and 5D and a lot of Red Bull, 5 hour shots and a great hardworking team! Our team just submitted for the 48hr this past weekend, we had so much fun! Stay tuned! Here is the graphic for Running an entry from a team that I had the extreme pleasure of working with in the 24Hr Film Race Atlanta. Getting more into the depth of field and my first attempt at using Apple Color, it scares me…lol – but I watched a couple of really good tutorials from Anders Overgaard from Norway.